The Russian authorities have failed to bar duty-free deliveries of Ukrainian goods within the Customs Union between Russia, Kazakhstan, and Belarus after Russia’s proposal was blocked by the other two member states. Commentators say this represents the first serious challenge to the Customs Union. The Russian authorities have failed in a bid to block duty-free deliveries of Ukrainian goods within the Customs Union between Russia, Kazakhstan, and Belarus. Russia’s proposal was rejected by the other two countries at a meeting of the Eurasian Economic Commission council. Russia proposed increasing duties for Ukrainian goods after Ukrainian President Petro Poroshenko signed the economic section of the European Union Association Agreement at the end of last month. The key component of this part of the document is an agreement establishing a free trade zone between Ukraine and the EU, which entails canceling import duties. 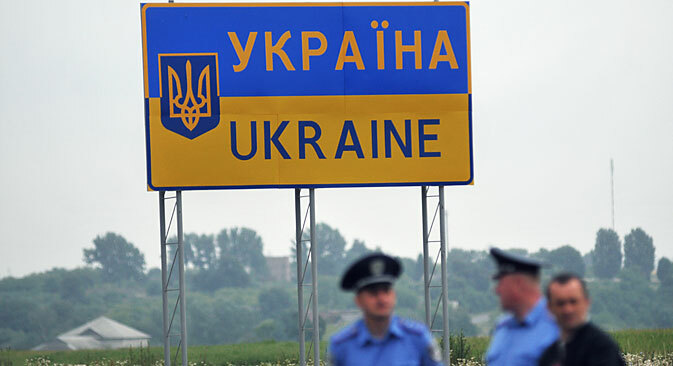 Ukraine is simultaneously a member of the CIS free zone, which includes Russia, and accordingly, Russia fears that cheap European goods could enter the country duty-free. As a result, back when Viktor Yanukovych was still president of Ukraine, Russia had promised to respond with protectionist measures, for which purpose it would have enlisted the support of its Customs Union partners, Belarus and Kazakhstan. According to sources from Russian business newspaper Vedomosti, Kazakhstan is currently in the process of joining the World Trade Organization and worries that Ukraine could block its accession. This is not the first case in which Russia’s customs-related interests have diverged from those of its Customs Union partners. In June, the Russian Finance Ministry published a draft resolution that proposed lowering the threshold for duty-free items purchased in foreign online stores from 1,000 euros and 31 kilograms per month to 150 euros and 10 kg per delivered package. All packages with a heavy weight and high price would be charged a 30 percent customs duty. However, companies from Kazakhstan have already emerged on the market that allow Russian buyers to circumvent this restriction. According to Russian national business newspaper RBC-Daily, there is a company in Kazakhstan called Altyn-Express that acts as an intermediary to deliver orders from American online stores to Russia through Kazakhstan. Transit makes it possible to get around the 150-euro purchase limit in foreign internet stores, but completely legally. Altyn-Express is already delivering its own packages to Belarus, where the limit on duty-free imports is 120 euros. The company is already partnering with Amazon, eBay, Disney, Barnes & Noble, Apple, and others. The Customs Union was established in 2009, when around 40 international agreements were adopted and ratified at the presidential and government level. The Customs Union started operating in Russia and Kazakhstan in 2010, and Belarus signed on in 2011. Afterwards, customs control was abolished on the borders of the three countries, and cargo can now be shipped to any of the three external borders. The Customs Union is planning to expand to include several other former Soviet republics in the near future, in particular Armenia and Kyrgyzstan. According to the CEO of consulting company Arkaim, Alexander Dorofeyev, Russia attempted to integrate itself into the global system of goods distribution after the collapse of the USSR, hence the creation of the Customs Union. “So the key potential for raising labor productivity lies in creating a common market between countries and in creating additional barriers for goods from outside of this economic space,” Dorofeyev said. After its suggestion to raise duties on Ukrainian goods was rejected, Russia received the right to act unilaterally, as per Customs Union rules, even though it has never done so before. At the same time, according to Finam Management analyst Maxim Klyagin, Russia will be left with enough tools for independent action within the Customs Union’s regulatory framework and infrastructure. That includes the ability to implement unilateral restrictions or re-export control. “In the future, positions on these points might be harmonized during further consultations, although it is to be expected that all of the member countries will defend the conditions that are most beneficial for them,” said Klyagin. Vasily Ukharsky, a macroeconomic analyst at UFS IC, said that despite participating in the Customs Union, each member country has its own national interests, which it usually prioritizes over those of the Union. The same can be said for practically any organization of its kind. “One can look at the European Union and the situation surrounding the suspension of work on the South Stream project as an example,” said Ukharsky. “Heated debates are under way among the Western European countries regarding the feasibility of the European Commission making such a decision. Each country’s position is based on its own national interests,” the expert said. Accordingly, the refusal by Belarus and Kazakhstan to raise duties on Ukrainian goods, as with Kazakhstan’s willingness to transit European packages through its own territory to Russia, is not sufficient to warrant pessimism.